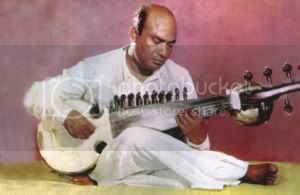 After the sad demise of the Sarod maestro Ustad Ali Akbar Khan, everyone now knows that he is survived by his American wife Mary and eleven children from three marriages. Latest buzz is that Ali Akbar Khan’s burial became a bone of contention between his wife Mary and the daughter from his previous wife Rajdulari, Aneesa Chaudhuri. Mary intended to perform the last rites of the genius in San Francisco, but Aneesa had accused her of denying Khan Sahib‘s last wish to be buried beside the graves of his parents in Maihar, Madhya Pradesh in India. She also accused Mary of not hospitalising the maestro well in time. Khan Sahib died of renal failure at his San Anselmo home, California, on Friday, 19th June 2009. It is no secret that Ustad Ali Akbar Khan was married early, in 1938 to his first wife Zubeida. 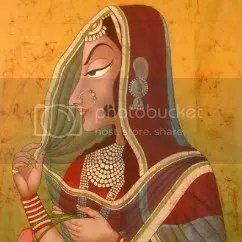 Many of us however, do not know much of his second wife, Rajdulari. 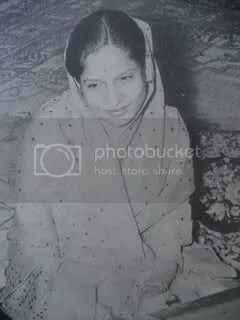 She apparently was a renowned vocalist of her time, who won several awards, including the first prize in an All India music competition in Allahabad. Not many recordings of Rajdulari are availabe now. 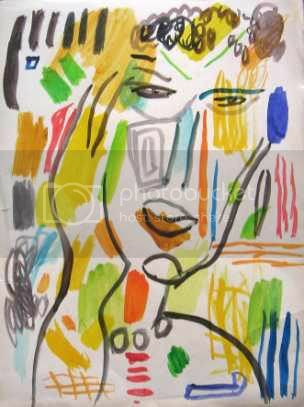 I happen to possess two very rare compositions sung by her. These exotic and sensual renditions represent the highest art of classical singing, and are further enhanced by the accompaniment of Ustad Ali Akbar Khan on the swarmandal and Mahapurush Misra on the tablas. The record label was Connoisseur Society, and the LP was released sometime in 1967. It definitely sounds extraordinary to me. The striking feature of Rajasthan‘s music and dance is that there is great variety. In fact, nothing much has changed since the time of their inception, probably a thousand years back. The music and dance are rooted in tradition. 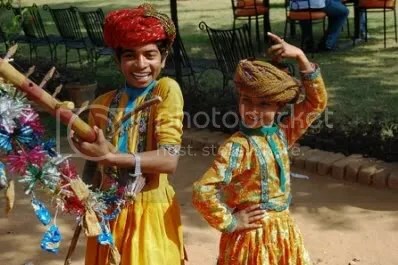 Although music and dance are an integral part of the daily life of Rajasthan, it is more pronounced during festivals. Songs of ancient poets like Kabir, Malookdas and Meera have become an integral part of the Rajasthani folklore. Apart from festivals, music and dance are also performed during special occasions like marriage, and childbirth. The music of Rajasthan is very vibrant and the manner in which Rajasthani music has evolved by absorbing the unique features of its adjoining states like Gujarat, Haryana and Punjab has meant that Rajasthani music is bold and evocative. It has already carved a niche for itself in not only India but has also been very popular overseas, courtesy the ‘Festival of India‘ shows that are conducted in western countries. 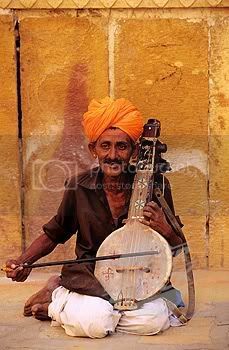 For hundreds of years, classical music in India appeared to have been a male dominated profession. In historical literature in which music is discussed, men have been identified as the great masters of music, men’s names dominated all the lists of performers recorded during the period from 12th to 19th century. Women’s role in classical music throughout history, appears to have been subordinate. Women musicians seldom received the individual recognition that men did. Women have been referred to strictly as the ones whose primary artistic contribution was in dance. In North India the system of hereditary musicians excluded women by not allowing them to be either Ustads or Pandits (teachers). Women in some musician communities were used primarily to maintain a strict lineage in the family. Fortunately, much of that has changed dramatically during the last few decades. Women classical artists of today are not only doing fabulously well in their artistic field, but many of them have proved their mettle in other areas as well. Women musicians of the modern era are thorough professionals, and a few of them are pursuing successful careers, in as diverse a field as, for example, a software consultant. Music remains their first passion, of course. 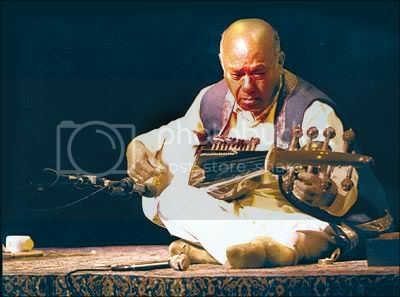 Ustad Ali Akbar Khan, the sarod maestro who took Indian classical music to the West along with sitar maestro Ravi Shankar, died in San Francisco on Friday, 19th June 2009. Once described by the famous violinist, Yehudi Menuhin as the greatest instrumentalist in the world, the 88 year old ustad had many firsts to his credit. The list includes introducing classical music in film scores. He also taught thousands of students from the West and set up his first institute in Kolkata in the late 1950s. Born on April 14, 1922 at Shivpur in the then undivided Bengal, Ali Akbar Khan was the only son of Ustad Alauddin Khan, one of India’s greatest musicians. He grew up in the princely state of Maihar under the watchful eyes of his father, a strict disciplinarian. He had to start riyaaz at dawn and practise for several hours till he was allowed to eat. In 1955, on the request of violin master Yehudi Menuhin, Ali Akbar Khan first visited the US and performed at the Museum of Modern Art in New York City. By the sixties, the West was clamouring for more and he pushed India on the world music map, with a little help from his friend Pandit Ravi Shankar (who was earlier married to Ali Akbar Khan’s sister, Annapurna Devi). P.S : One of my many wise visitors has very rightly pointed out, my not mentioning the name of tabla maestro, Pandit Swapan Chowdhury in this post. Yes indeed, Pandit Swapan Chowdhury is one tabla player, who had one of the longest association with Ustad Ali Akbar Khan, not only as an accompanyist, but also as a principal teacher at the A A K College of Music. I had a fit last week. Not the type when you froth at the mouth, face twitching, eyes rolling skywards and finally, you drop down dead on the floor ..with a thud. Mine was different. I chanced upon a website called suhanegeet.com. What I saw there was amazing stuff. Vintage hindi film songs from 1930 onwards. I am not a big follower of hindi film songs really, but I love collecting artifacts of antique value, be it coins, paintings, or any old titbit piece of art for that matter. 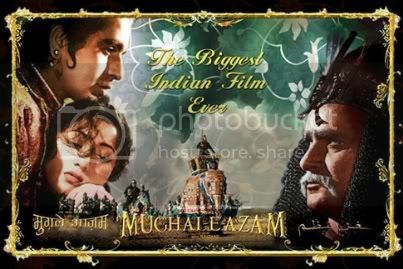 To me the glorious black and white era of hindi films ended with the release of Mughal-e-Azam in 1959 (or was it 1960 ?). 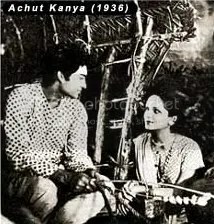 This was the period which saw the evolution of hindi film songs from the unbearably harsh sounding songs of the early 1930s to the refined voices of singers like K L Saigal, Amirbai Karnataki, Zohrabai Ambalawali, C H Atma, Talat Mahmood, Suraiya, Khursheed, Shamshad Begum, Noor Jehan and many others. The emergence of Lata Mangeshkar and company in the late 1940s however, changed the face of hindi film music forever. So I went down to work. Suhanegeet.com is not a fanciful site, infact it is a bit drag on at first look. It has a great search engine though. Above all, it has an archive of some 8000 songs, but I was interested only in songs of the 1930s, 1940s and 1950s. The songs can be played on an onsite flash mp3 player but cannot be downloaded. I somehow managed to download ‘quite a few‘ songs, all of them from the above mentioned vintage period. I have this strange thing going for me. When I get down to do something, I try very hard to be meticulous about it. Thirsting for more of such vintage songs, I discovered another site : ansarimusic.net (or songs420.com). Applying the same ‘method’ which I did with suhanegeet.com, I downloaded ‘some‘ of the songs, mostly of the legendary singers. I finished the job by downloading a ‘few‘ from smashits.com, most of them from the 1930 through the 1950s. Finally, I have a handsome collection of select old hindi film songs now, all vintage. All this took me a few hours of nosing around ..and a little application of mind.